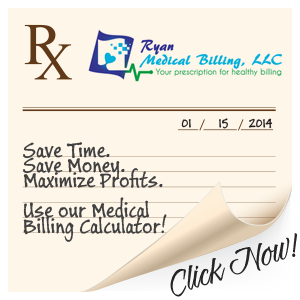 Professional medical billing services you can count on located in Central Florida. Confirm patient’s active medical coverage, co-pays, deductibles, secondary insurance, type of plan, policy exclusions, effective date, claims mailing address, and all other information needed to make the verification process. Contact insurance company to get approval for services and assurance of prompt payment. Normally a time consuming task, we perform this task efficiently and precisely so that last minute cancellation of claims can be avoided and payments are made quickly. Providing procedural and diagnostic coding for all major medical specialties. Our professional team of coders: scrutinize, analyze, and carefully assign codes thus preventing denials and enhancing reimbursements. Our coders have years of experience in multiple specialties enabling us to meet the requirements of a wide variety of physician practices and medical professionals. Utilizing advanced billing software and technology, our team of billing experts submits claims with accuracy and in a timely manner. Our goal is to file all claims within 24 hours of receiving; fast, optimized reimbursements are vital to maintaining a thriving practice. Our patient billing team is specialists who are committed to assisting the patient in navigating what can be a confusing and complex system of billing, medical reimbursement, and health insurance programs. Automating your patient billing process will accelerate cash flow, lower your costs, and save precious time, while providing greater convenience to your patients. Our experienced analysts identify claims that are uncollectible or underpaid. Review, Resolve, and Resubmit is the corrective action we immediately take. We know the longer a claim goes unpaid, the harder it is to collect payment. It is essential to systematically follow-up on every delayed, denied, and unpaid claim. Incorrect claim denials are appealed, never just written off. We take every step necessary to make sure YOU get paid for your services. Skilled, personable representatives take a unique approach to secure payment from patients. Our collection department effectively manages each account and creates a repayment plan with patient that is acceptable to all parties. HMG’s collection service can assist you in diminishing write-offs and keep your patients coming back to you for care. Highest possible recoveries at a minimum cost! Customized reports that will keep you updated on all aspects of your billing process. Daily, Weekly, and Monthly Reports that are accurate and easy to read are available online anytime. Detailed reporting gives you a clear picture of your financial performance. By using our advanced reporting, you can track your performance and make better decisions. Keeping track of your revenue is the key to any successful practice. We offer medical billing services in Ocala, The Villages and surround areas, as well as the entire United States! Contact us today for your medical billing needs!